What Fabrics Are Best For Business Suiting Fabrics? What fabrics are best for Business Suiting Fabrics? In fact, people who like custom suits know that fabrics are crucial for suits, and different fabrics have different feels. Below is the knowledge of suit fabrics, so don't miss it. 1. Wool and polyester blended fabrics: There are bright spots on the surface of the sun, which lacks the soft and soft feel of pure wool fabric. The wool polyester (polyester) fabric is crisp but has a hard texture and is prominent with the increase in polyester content. Elasticity is better than pure wool fabric, but it is not as good as pure wool and wool blended fabric. Loosen the material and loose it with almost no creases. 2, wool and viscose blended fabric: the gloss is dim. The worsted type feels weaker, while the woollen type feels loose. These fabrics are less elastic and stiffer than pure wool and wool-polyester blends. If the viscose content is high, the fabric is easily wrinkled. 1. 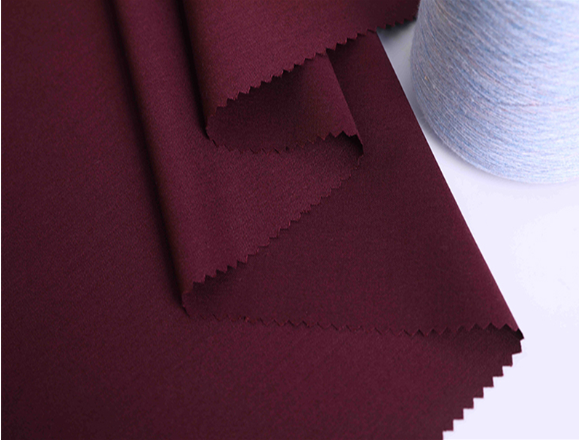 Pure Worsted Wool Suiting Fabric: Most of the texture is thin, the surface is smooth, and the texture is clear. The luster is naturally soft and has a smooth glow. The body is crisp, soft and flexible. After loosening the material, it is loosened, basically no wrinkles, and even if there is a slight crease, it can disappear in a short time. 2, pure wool woolen fabric: most of the texture is thick, the face is full, the color is soft and the light is full. The noodles and suede are not exposed. The textured weave is clear and rich. Gentle, firm and flexible. Traditionally, wool-like fabrics made of viscose and artificial wool fibers have a dull, soft feel and lack of a sense of rigidity. Due to the poor elasticity, it is easy to wrinkle and is not easy to fade. The strength of the yarn drawn from the fabric after wet water is significantly lower than that in the dry state, which is an effective method for identifying viscose-based fabrics. In addition, such wool-like fabrics become hard and thick after being wetted. With the advancement of science and technology, the wool-like products have also made great progress in terms of color, feel and durability. We are the supplier of fabrics, we also have Military Officer Uniform Fabric, if you want to know more about suit fabrics, you can contact us. Next: How To Identify Several Kinds Of Suit Fabrics?